My first contact with imaging was in 1982, more than 30 years ago, as a research student in the medical imaging department of the Polytechnic University of Catalonia. 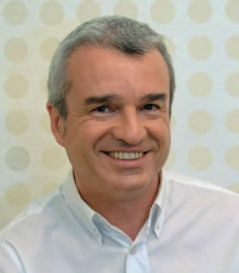 In 1993, I worked as General Manager in the creation and development of the Computer Vision Center (CVC) in Barcelona and then started my company DataPixel in 1999, integrated in the technology group Innovalia. In 2002 I joined the group of experts that in 2003 founded the European Machine Vision Association (EMVA). I have been member of the Executive Board of the EMVA since 2003, and in April 2012 I had the privilege to be elected as president of EMVA. An important argument is based on the fact that machine vision is not only a way to control the quality of your production, but a precious source of information. Knowledge-based manufacturing is a key factor for successful industries in a global market. Most of our customers are using digital tools for product design, like CAD systems, as well as digital methods and software for process planning and supply channel management. In the same way that CAD systems have resulted in very important improvements in cost and productivity, machine vision systems are very important tools for manufacturing knowledge generation and management. The value of that knowledge has to be included when evaluating the return-on-investment (ROI) of a machine vision system. Flexible and adaptable production, mass customised production, nano-technologies, biomedical technologies, healthcare, ecology and sustainability, education, leisure and culture, are major drivers of our future economy in Europe. Machine vision is a key enabling technology for most of them, and although the size of our machine vision sector regarding the overall industrial economy is relatively modest, our impact is very high. These drivers are more relevant in Europe than in other territories in the world. EMVA has a key role by providing support to our companies to be more efficient in R&D and new products and solutions generation. On the one hand, I still see growth in traditional markets: automotive, electronics, glass, pharmaceutical, paper, packaging… This growth is the result of innovation in machine vision products, especially in 3D vision, multispectral imaging and high-resolution imaging. On the other hand, I see potential for growth in non-industrial applications: agriculture, health care, security, biomedical… We need as an industrial community to establish cooperation links to other industries and, in this direction, EMVA can play a very important role facilitating cooperation with other associations and industrial sectors. Probably one of the most important technological challenges is the need to integrate machine vision efficiently in more global knowledge management systems. Machine vision products need to be seen not as isolated quality control cameras in the manufacturing line, but as vital components to be combined in more advanced networks. Integration with advanced robotics, with sophisticated production software, with ERPs, will be only efficient if we promote standardisation of interfacing components and information models. One of EMVA’s priorities is standardisation, for which dialogue between EMVA and the European Commission and the R&D programmes will be fundamental. 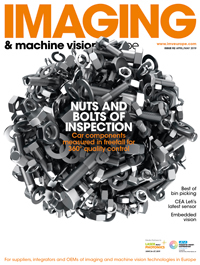 I see several changes in the machine vision industry. Most of them are the result of growing competition in a global economy. We need to better differentiate our offer and products, and the key factor will be marketing. We can generate value in many different ways, but all of them start by understanding that our products are not only boxes containing a camera or software, but an extended concept of service-product. Machine vision companies, we need to better understand that our customers’ needs when buying a camera are not only based on resolution or frame rate; their requirements are also related to their own business models. Because the products we sell are more and more sophisticated and pure technological evaluation is becoming more complex, emotional factors are also becoming more important. Marketing capacity will be probably the most important driver of industrial consolidation in our sector, a process that will continue as machine vision becomes more mature.